Today, I am posting the latest episode of KRON 4’s Body Beautiful. This video segment continues where the last post left off, discussing Breast Reduction for Women. This Breast Reduction Video Presentation contains: Information about reduction mammoplasty; Reduction mammoplasty before and after pictures; Descriptions of how breast reduction is performed; Several options for breast reduction; Recovery information and tips for after reduction mammoplasty surgery; and Narration of many specific examples of breast reduction. Large breasts can be debilitating, and for women suffering from chronic neck, back, shoulder and breast pain, Breast Reduction Surgery may be the answer. 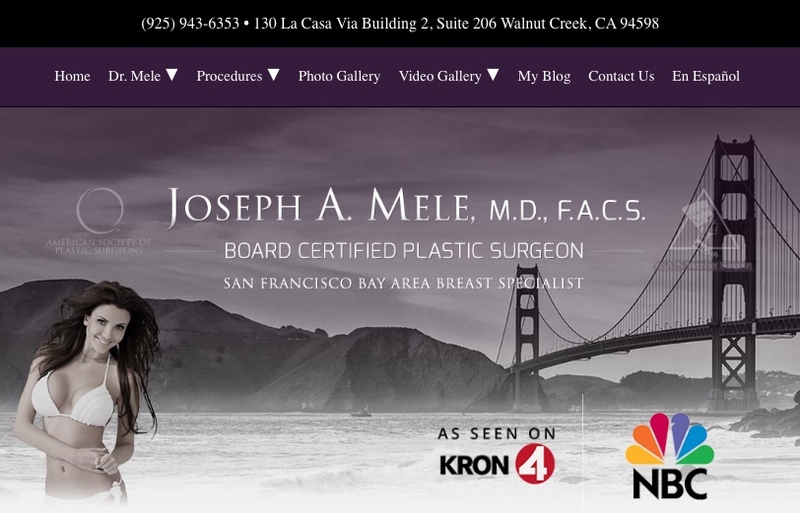 Board Certified, San Francisco Bay Area Plastic Surgeon, Dr. Joseph Mele discusses your options. Breast Reduction for Women is most often performed to relieve the symptoms caused by large breasts. Also known as Macromastia or Gigantomastia, large breasts are associated with neck pain, back pain, shoulder pain, breast pain and rashes under the breasts. Disproportionately large breasts are hard to fit in clothing, and often require custom bras in an attempt to control them. The constant tugging of gravity is only half the problem. Large breasts have their own momentum. They resist moving when at rest, and keep moving when you try to stop. Jogging, and other physical activities, are made more difficult, if not impossible, to do without pain. In most cases, Breast Reduction can cure these problems.